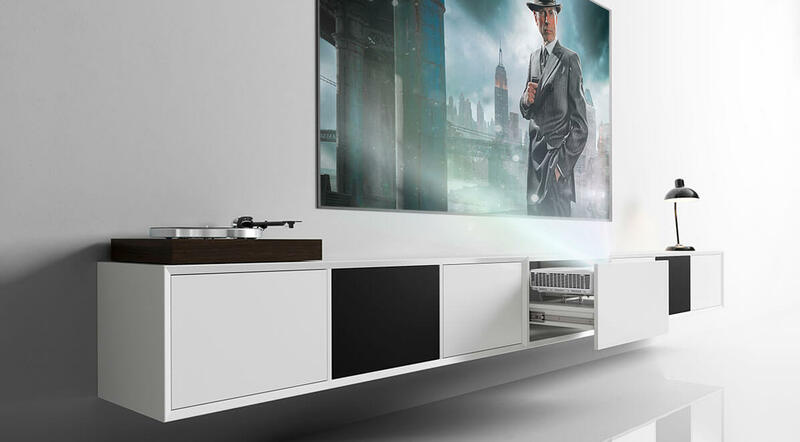 With the clic projector solution it is now possible to see the big movie and sports events in your livingroom. 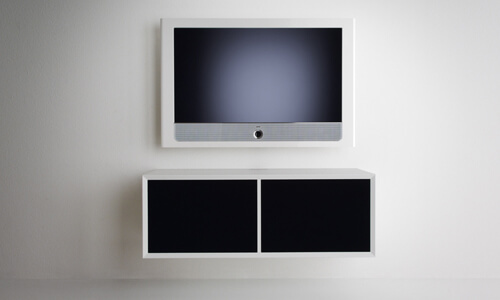 In collaboration with dnp Denmark we have developed a special metal bracket that holds the projector tight in the drawer. The bracket makes is easy to adjust the projector after it is placed in the drawer. The bracket will insure that the projector won’t be able to move when it is mounted and adjusted in the drawer. This will allow you to open and close the drawer without disturbing the picture settings. 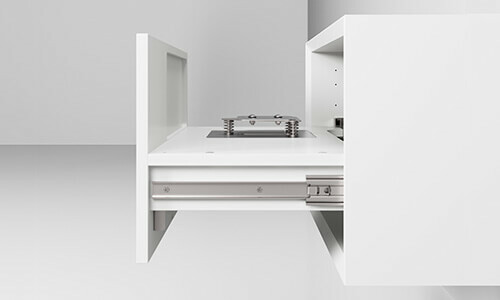 The projector drawer fits in model 210 Large and 310 Large in 37,5 cm depth. 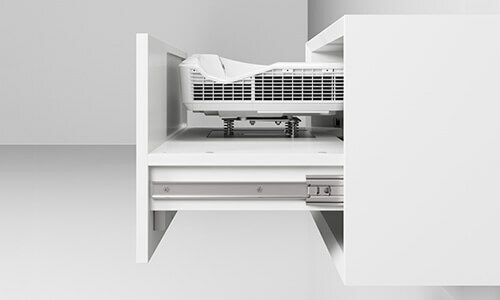 The projector drawer is available in white, black, grey and lightgrey. 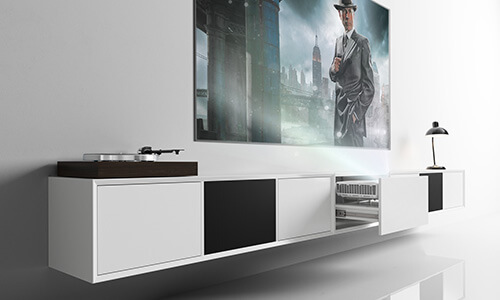 After installing your projector you can adjust the drawer both in hight and depth to insure a precis result. A manual will follow your order.